Our unique position between the Yorkshire Wolds and the North York Moors is a great base for exploring Yorkshire. The North Yorkshire Moors National Park is home to heather moorland, pine forests, rolling hills and shimmering coastline, not to mention historic abbeys, castles and priories, traditional pubs and ‘hidden’ villages and hamlets. The Yorkshire Wolds of low, rolling hills and sheltered dry valleys are rich with wildflowers and cut across the white-speckled chalk landscape. Each sleepy village has a distinct character. Bradford-born David Hockney, one of the most influential British artists of the twentieth century, is now based in Bridlington. The Yorkshire Wolds have provided the inspiration for Hockney’s new series of artworks that span 50 years of his fascination with the area. Explore this unspoiled countryside and see the landscape and sites that inspired Britain’s greatest living artist. Urban walks in York, cliff top paths, beach strolls and hundreds of trails through the Moors and Wolds are all easily accessible from Dale Farm. 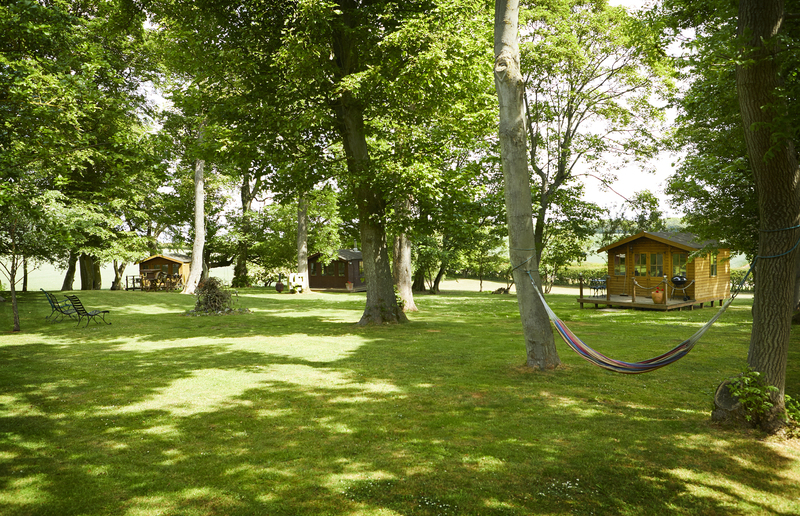 There is something for everyone from long distance trails to short strolls. Dog lovers should check out Dog Walks Yorkshire and the easy access section on the Welcome to Yorkshire website is excellent for people with wheelchairs or buggies. The Yorkshire Wolds Walking and Outdoors Festival takes place every September. Whether you are into touring, mountain biking or day rides, Dale Farm is ideally positioned to meet all your cycling needs. With its quiet country lanes and gentle hills and dales, the Yorkshire Wolds is a paradise for cyclists. Pass through picturesque villages, market towns and historic houses and churches. Discover coastal cliffs, beautiful beaches, wildflowers and wildlife and those famous big skies. Check out the Big Skies Bike Rides series that takes in this beautiful landscape. From skydiving to geocaching and husky trekking to clay pigeon shooting there is an activity to suit everyone in this area. Check out the Welcome to Yorkshire Website or Discover Yorkshire Coast for more information and a calendar of events. Filey (Blue Flag Award and Quality Coast Award) is set in a sweeping, sandy 5 mile bay and is perfect for offshore sailing. Filey is one of the best sea fishing venues in the country. We access the beach locally at Hunmanby Gap, never busy and a favourite with kitesurfers and windsurfers. Cayton Bay is a quiet bay with great facilities offering some of the best surfing in the country. The section of coast line around Flamborough Head provides spectacular canoeing as well as unspoilt beaches at Danes Dyke and South Landing. Sewerby Hall, Sledmere Hall, Scampston Hall and Burton Agnes Hall www.burtonagnes.com are all close to the farm. For serious shopping it has to be York – the City itself, the Designer Outlet and the new out of town flagship John Lewis store. York Auctions are the biggest and best and everyone should experience them once in a lifetime – you will need a day if you a waiting to bid on something – enjoy a full English while you wait. There are several market towns within an easy drive. Beverley is reknowned for its stunning Minster and has markets on Saturdays and Wednesdays. Malton is food paradise, home to a monthly Food Lovers’ Market and an annual Food Lovers’ Festival. Stephen Joseph Theatre in the Round in Scarborough is home to Alan Ayckbourn, the world’s most performed living playwright. We enjoy the film suppers and screenings. Scarborough is also home to Europe’s largest open air theatre and Scarborough Spa. The historic Milton Rooms in Malton and Pocklington Arts Centre are small venues but get big names; book early. Don’t miss the annual Burton Agnes Jazz & Blues Festival; three days every July. The Dalby Forest hosts world class concerts as part of its Forest Live programme every summer. Ride Yorkshire has prepared some carefully researched routes in the Yorkshire Wolds. Some are circular, while others are designed to be ridden over the course of 2-5 days as a longer riding holiday. The Wolds is a beautiful area of long grassy tracks and few gates so perfect for riding. Westwood race course at Beverley is charming and friendly with a season running from April until September. World class flat racing course Knavesmire at York is known as the Ascot of the North; don’t miss the Ebor Festival. The Kiplingcotes Derby is the oldest annual horse race in the English sporting calendar (1519) and takes place on the third Thursday in March. The course takes in four miles of arduous farm track and field, often in exceptionally adverse weather conditions. Much of the East Coast from Filey Brigg to Spurn Point, as well as the Wolds, falls within the Yorkshire Nature Triangle. The Yorkshire Wildlife Trust produces a comprehensive pack which includes 8 wildlife walks around the Flamborough headland. It also operates regular summer boat trips which take visitors to view seabirds close-up and learn about the chalk cliffs, sea caves and underwater reefs. Flamborough Cliffs Nature Reserve is a spectacular headland with an impressive sea bird population and fascinating marine ecosystem. The Living Seas Centre as South Landing is the Trust’s first dedicated marine education centre. Don’t miss The National Seabird Centre at RSPB Bempton, easily the best place in England to see, hear and smell seabirds! 250,000 make their home here from April to August including the much-loved puffin. You can take a puffin cruise if you would like to get up close! There are plenty of pubs, cafes, takeaways and restaurants in our local village of Hunmanby (1.5 miles). You will find an up to date list of all our local food recommendations in your room or ask us to email it in advance of your visit. Scarborough is Britain’s ‘original’ seaside resort. Alonzo’s, the famous 1950’s ice cream parlour on the seafront shouldn’t be missed. 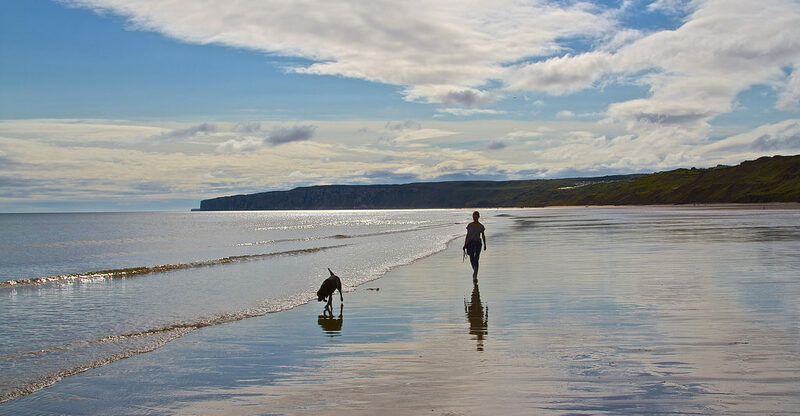 Filey is the archetypal Edwardian English seaside town with a sweeping sandy beach, historic promenade, beach chalets, donkey rides and a gentle pace of life. If the weather is fine, sit on the wall at coble landing and eat your fish and chips fresh from the bag. Whatever your ability, from the championship course at Ganton to the 9 hole pay and play at lovely Hunmanby Hall on our doorstep you will find a course to suit in this area. The annual Scarborough Cricket Festival is one of the most historic sporting events in the world and since 1876 has seen large crowds of holiday makers watching first class cricket. The stands are built right to the boundary edge offering exceptional views and a unique atmosphere. Takes place annually at the end of August.